Unreleased Album “Toy” Recorded In 2000/2001. This track appeared on 2002’s Heathen under the title “Slip Away” without the intro sound bite from the Uncle Floyd show and with subtle differences in the music and lyrics. This track appeared on 2002’s Heathen in essentially the same format. Originally released in 1965 as the b-side of the single “You’ve Got a Habit of Leaving” under the name Davy Jones & the Lower Third. This new version is about a minute and a half longer than the original version but, aside for some studio banter toward the end of the song, this version is rather close to what was ultimately released on the “Everyone Says Hi” UK CD single. Originally released in 1966 and served as Bowie’s last recording on Pye. The version on Toy is about two minutes longer than the original version and remains unreleased. Originally released in 1970 as the b-side to “The Prettiest Star” and later included as a bonus track on the Ryko issue of Space Oddity. The version recorded for Toy is close to the original but runs a minute longer. This version was included on the bonus disc for Heathen. Originally recorded as a single in 1967 which was rejected by the record company and ultimately released on one of the many singles compilations from the Deram era and, more recently, included on the deluxe edition of David Bowie’s first album. This version is a good bit heavier than the original and remains unreleased. 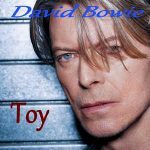 ”Toy” (aka “Your Turn To Drive”) is one of the new tunes written for Toy and was released on iTunes as a non-lp single in 2003. Allegedly from the Space Oddity sessions (1969). An outtake from 1971 that can be found on a few bootlegs in both demo and studio form. 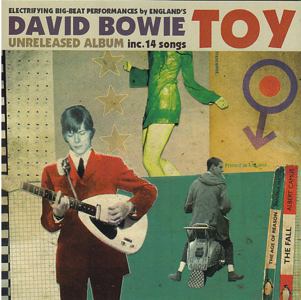 A slightly different and longer version than what is on the Toy bootleg was included on the “Everyone Says Hi” UK CD Single. Like “Let Me Sleep Beside You”, this track was originally recorded as a single (1968) and subsequently released on one of the many singles compilations from the Deram era and, more recently, included on the deluxe edition of David Bowie’s first album. This version remains unreleased. Originally released as a single in 1965 under the name Davy Jones & the Lower Third. This new version is significantly longer than the original version and is close to what was ultimately released on the “Everyone Says Hi” UK CD single. Originally released in 1967 on David Bowie’s first album. 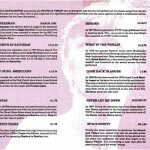 An early demo recording along with numerous live recordings can be found on the bootleg circuit. This new version remains unreleased but is close in comparison to the live version found on the Jewel bootleg CD. Originally released as a single in 1964 under the name Davie Jones with the King Bees. This new version has been reworked into a jazz number but (unfortunately) remains unreleased. Originally released in 1966 as the b-side to the “Rubber Band” single. 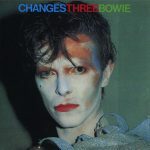 While segments of this song were posted to BowieNet, this version remains unreleased. These two lesser Bowie compositions were demoed around the same time as “Silver Treetop School For Boys.” “Everything Is You” was eventually recorded (again by the Beatstalkers) while the wan “Social Girl” would forever lack an interpreter. David Bowie went into the studio to start work on a new album. Towards the end of the sessions, he decided that some of the work would survive onto his next album, which would become Heathen. The rest, new interpretations of his past lesser-known songs, and a handful of new tracks, became known as ‘lost album’ Toy, and were mysteriously shelved. 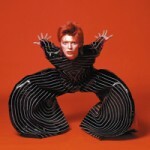 Bowie himself claimed his record label EMI/Virgin had ‘too much on the back burner’ – presumably, in 2001, too much not to overlook one of the greatest albums of Bowie’s career. It was leaked in its entirety in 2011: the great man himself may not approve of his unreleased work being reviewed, but what’s to be done. Post The Next Day – more an aggressively, ambitiously positive record – listening to Toy, twelve years on from the making, we have a collection which is warm, sublimely written, with touches of genius and genuine joy. Taken together, it sits as the mature, reflective elder brother of 1971′s Hunky Dory. ‘Conversation Piece’, an gobsmacking outtake from the sessions from that album, is heartbreakingly resplendent here, Bowie understatedly emoting in perfectly restrained poise. ‘Hole In The Ground’ and ‘Baby Loves That Way’ are both absolutely terrific, prime-era Bowie songwriting, hippified here, anthemic there, gloriously cracked everywhere – Bowie tracks, that like the very best of his work, are addictive, compulsive, you want to hear again and again. It’s a serious shame that EMI didn’t see fit to have these heard as singles by a wider audience at the time. If there’s one niggle about the whole thing, it’s Bowie’s band – which has admittedly been criticised, whoever the personnel, since Tin Machine. Whoever’s fault it is, Bowie’s, producers, or ‘record executives’ (and despite bassist/backing vocalist Gail Ann Dorsey‘s lovely voice) they are once again struggling to find the passion or spontaneity to support such inspired songwriting. Vauxhall Corsa musicianship. It’s quite infuriating, but also telling that all the songs win through against such odds. Why the man doesn’t get Jean Michel Jarre in on keyboards and the guy from Lightning Bolt on drums beggars me. The Next Day was a dormant Bowie lashing out in a contemporary howl, ghost-stepping into the world early in 2013. Toy, from magical 60s postcards such as ‘In The Heat Of The Morning’ and ‘Silly Boy Blue’, is a ghost in its own right, living up fully to its legend, lingering with the listener as one of Bowie’s most heartfelt, human, warm and joyous creations – of any decade. and You’ve Got A Habit Of Leaving. The last 4 tracks on the disc doesn’t do much for me, though. Somehow, a lossy version of this unreleased album started circulating via the internet. No lossless version exists. so I thought I’d share my silver. The quality is just as excellent as always for this stuff.